This long-awaited book highlights the thousands of colorful, clever toys manufactured by the Fisher-Price Toy Company. Focusing on Fisher-Price toys produced from 1964 to 1990, this comprehensive guide includes over 500 color photographs of pull and push toys, musical toys, puzzles, dolls, the infamous Play Family and Little People Playsets, Adventure Series toys, Husky Helpers and vehicles, ToyFest Limited Editions and memorabilia, Movie Viewers and cartridges, and more. 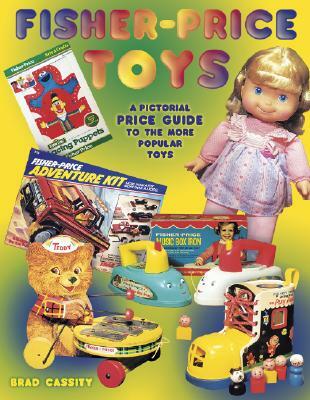 Information on the Fisher-Price Collector's Club, Toy Town Museum, and Fisher-Price Toy Store is included, as well as a detailed history of the popular toy company that still cranks out wonderful products to this day. Listed for each toy pictured is its name, years of production, description, and current market value. General toy collectors, dealers, and fans of the Fisher-Price Toy Company will play with this book for years to come.